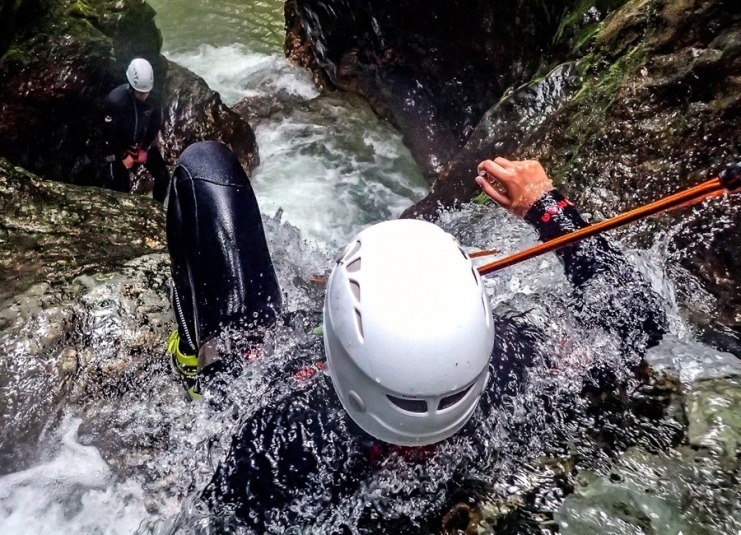 Amazing canyoning Bled is our most popular canyoning adventure that is suitable for all those who want to experience a pinch more of adrenaline. There is more than one high jump, the highest being 10 m. However don’t be afraid, if you don’t want to jump, our guides will lower you down with a rope. 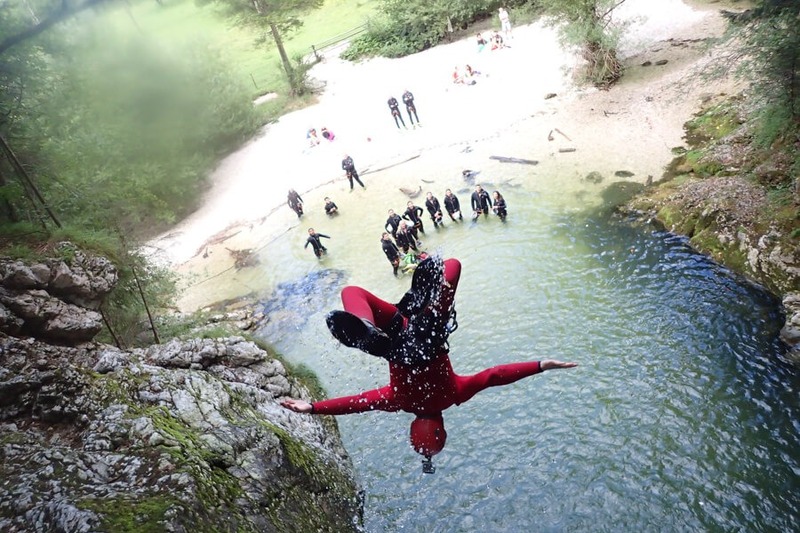 Do you like adrenalin sports? Would you like to experience adrenalin on the water? Do you wish to experience a 10-meter jump or being repelled down with a rope? Wish to see amazing wonders of nature? Have you ever swum in clean green water? Bled is known for its marvellous lake of the same name, Lake Bled, which is a major tourist attraction with its small island in the middle. 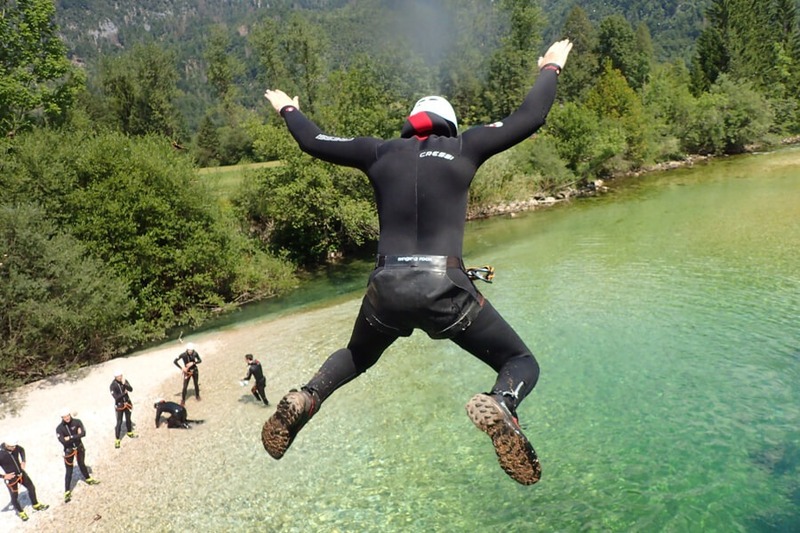 Otherwise Bled is also known for many sports activities, such as golf, fishing, hiking through the Triglav national park and to the top of the Triglav mountain itself and of course it is the perfect destination for everyone who enjoys canyoning. 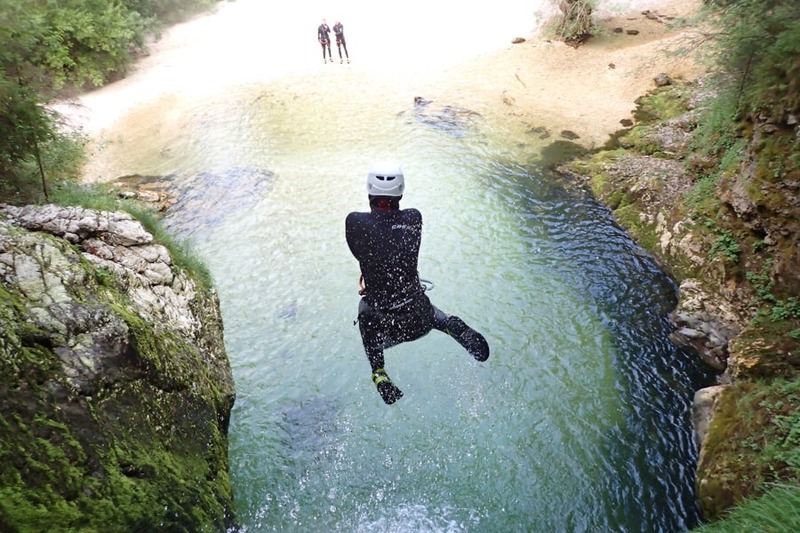 Join us on an amazing canyoning tour and explore the intact nature in the riverbed of a wild Alpine river. 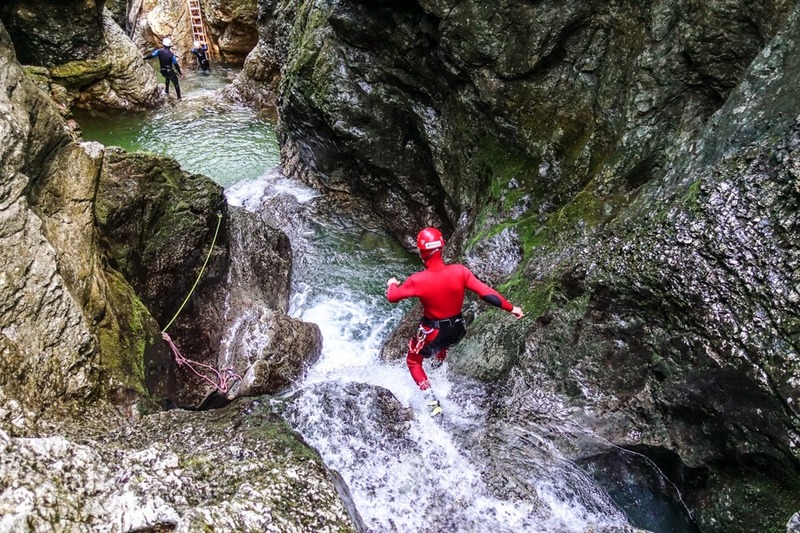 For canyoning, Bled is in the ideal location, with the rivers Jerečica and Grmečica which can be explored almost only by canyoning. An anecdote tells that Turks, the mighty conquerors, turned around when they were trying to invade the Bohinj area, because they thought it was the end of the world. Legend also says that Turks turned around at the village named Obrne (eng. 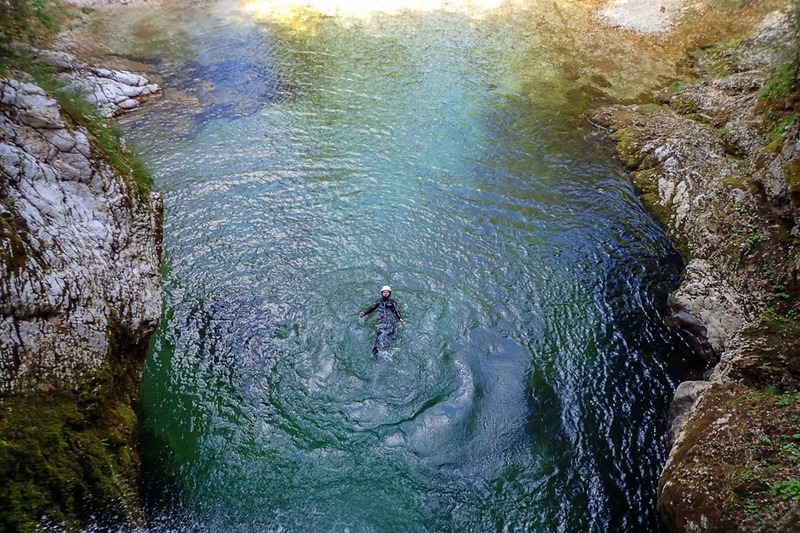 Turn) which is situated at the entrance to the Bohinj valley. The most interesting tourist activity in Bohinj is alpinism and hiking or cycling around the nearby hills and mountains. 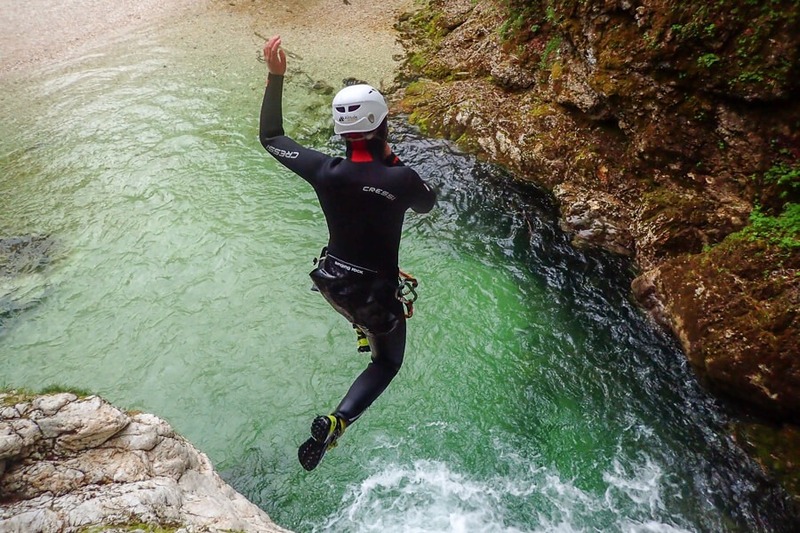 Lately, canyoning Bohinj has become a very popular tourist attraction too, because it enables you to enjoy it intact and pure clean nature of Triglav national park. 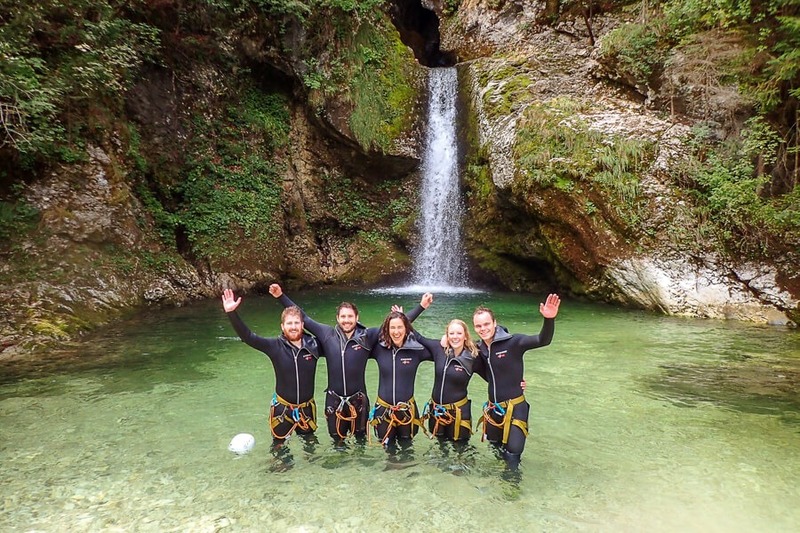 Amazing canyoning Bled and marvellous canyoning Bohinj are our most popular adventures, suitable for anybody, because we make sure that everybody is equipped with all necessary gear for safety. 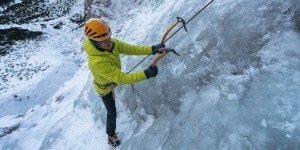 With this wonderful tour, you can be totally relaxed and enjoy an experience with a pinch of adrenaline. There is more than one high jump, the highest being 10 m. However, don’t be afraid, if you don’t want to jump, our guides will lower you down with a rope. 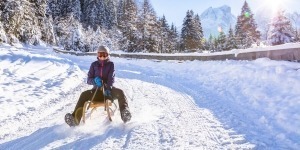 Altitude-activities.com - 2019. All rights reserved.